Ian Walker, from Warsash in Hampshire, became the first British skipper to win the Volvo Ocean Race in the event’s 37 year history, when he led Abu Dhabi Ocean Racing to victory in the 2014/15 event. Ian and his team also won the in-port race series and set a 24-hour distance record of an incredible 550.82 nautical miles. Eleanor Poole, from Dunsford in Devon, impressed members of the YJA, by garnering a string of firsts to win the 2015 Topper National championships at the age of 14, as well as securing an impressive seventh at the 2015 Topper World Championship on Lake Garda, Italy. Eleanor topped a strong shortlist of up-and-coming young talents that included Jack Lewis from Rugby and Cameron Tweedle from Oxfordshire. 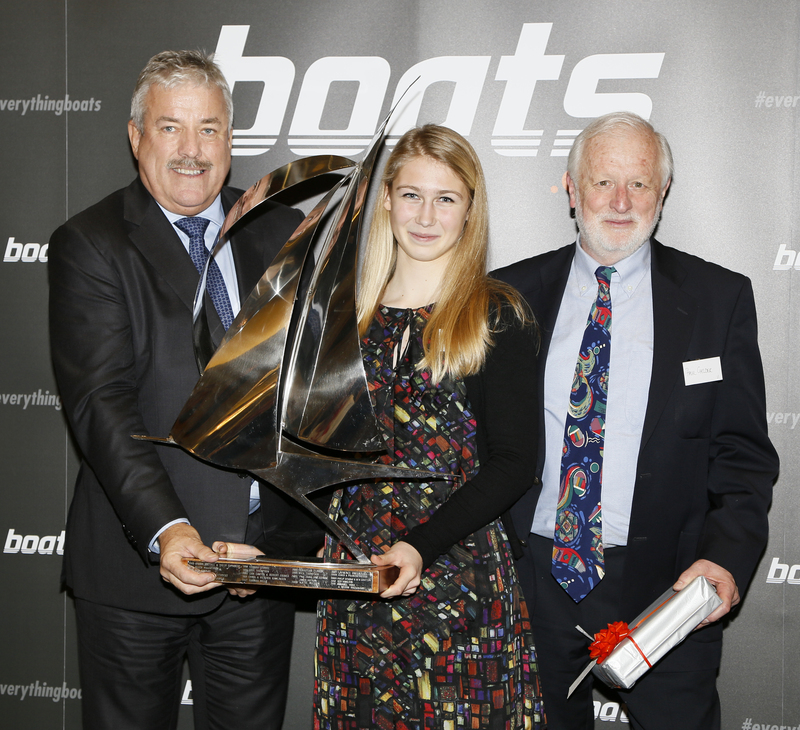 15 year old Eleanor Poole from Dunsford, Devon, winner of the boats.com YJA Young Sailor of the Year Award, presented by Ian Atkins, CEO of boats.com and Paul Gelder, Chairman of the Yachting Journalists’ Association at Trinity House, London. 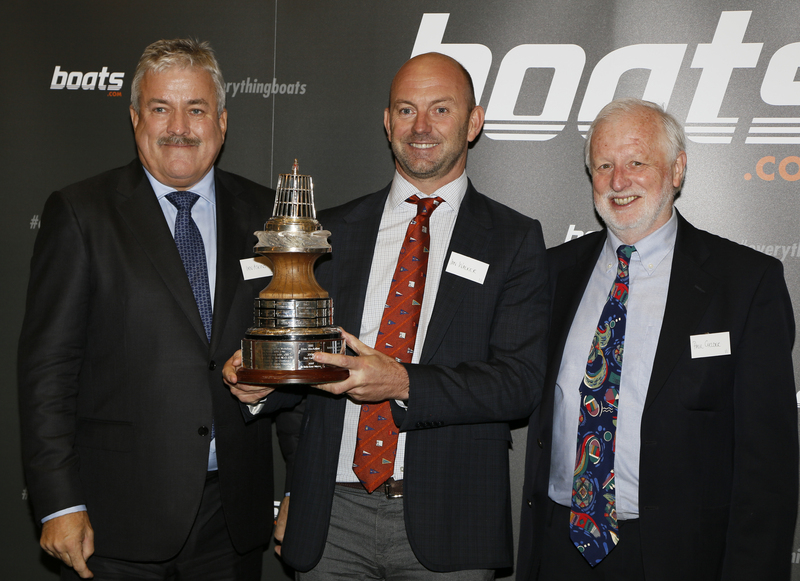 Mike Peyton, who has been described as ‘The world’s foremost yachting cartoonist,’ was named as the recipient of a special YJA Diamond Jubilee Lifetime Achievement Award. Peyton, who celebrated his 95th birthday on January 8th, has been a unique commentator on the sailing scene for more than 60 years. 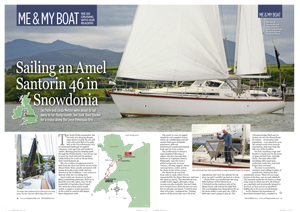 His cartoons have been published in scores of magazines from Japan to America, the antipodes and every sailing magazine in Britain. 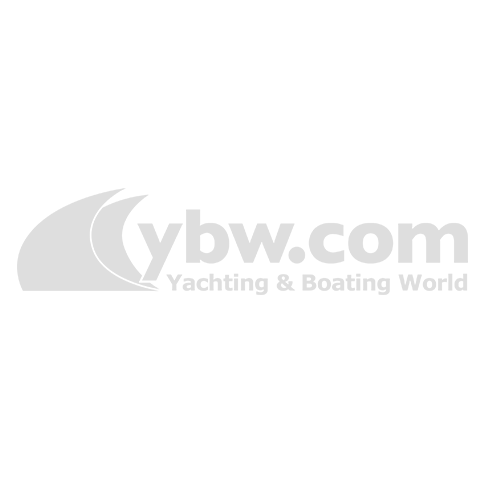 The Yachting Journalists’ Association (YJA) represents more than 260 specialist marine journalists, photographers, TV and radio presenters across the major sailing and boating regions in the world. It aims to promote greater awareness of all aspects of leisure boating through the professional services offered by its members.